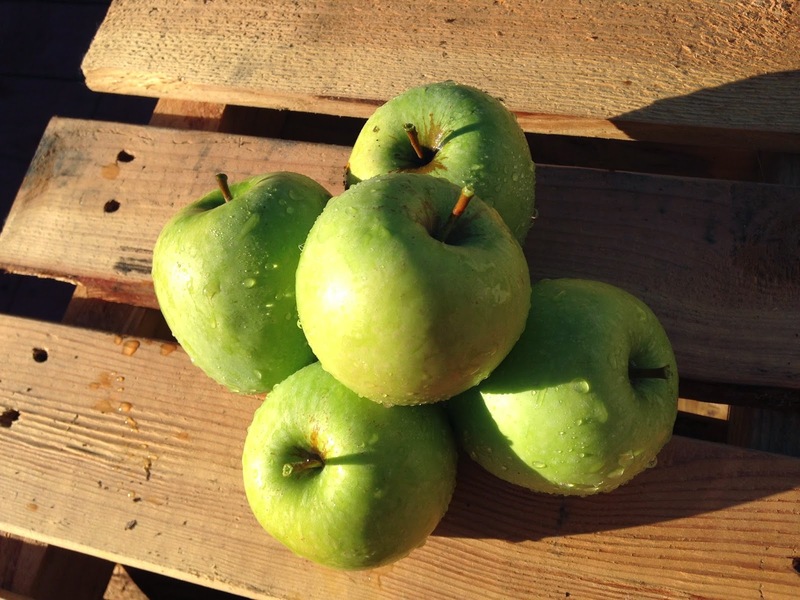 Chef in Residency: All Those Apples! It's fall! You know what that means - Apples! Apple pie, apple cider, apple donuts and apple fritters, apple cake...I sense a theme here. I'm the first to admit that the first slice of apple pie made with freshly picked apples or warm, fresh-pressed cider on a cold day cannot be beat. Unfortunately, we can't - or more likely, shouldn't - live on sugary apple treats alone. After pecks of apples have been picked, and baked and pressed, what can you make that's a bit more health-conscious? Beside the obvious - eating the apple as nature intended - here's a recipe that fits the bill and celebrates all things fall. 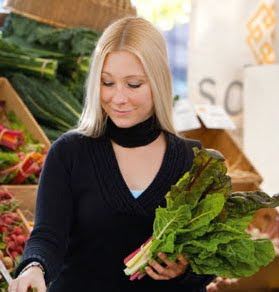 Make as is for a delicious side dish or try one of the alternatives below to make it a meal. See the Knife Skills Series - #2 Apples video to learn some techniques for using apples and to see how I chopped the apple for this recipe. 1. Bring water to boil in covered pot. 2. Meanwhile, rinse quinoa thoroughly with water by placing in a bowl of water, swishing around and draining with a strainer. Repeat the rinsing process. Shake as much of the water out of the quinoa (now in the strainer) on the final rinse. 3. Stir quinoa into boiling water and turn temperature down to medium-low. Cover pot again. Set timer for 12 minutes. 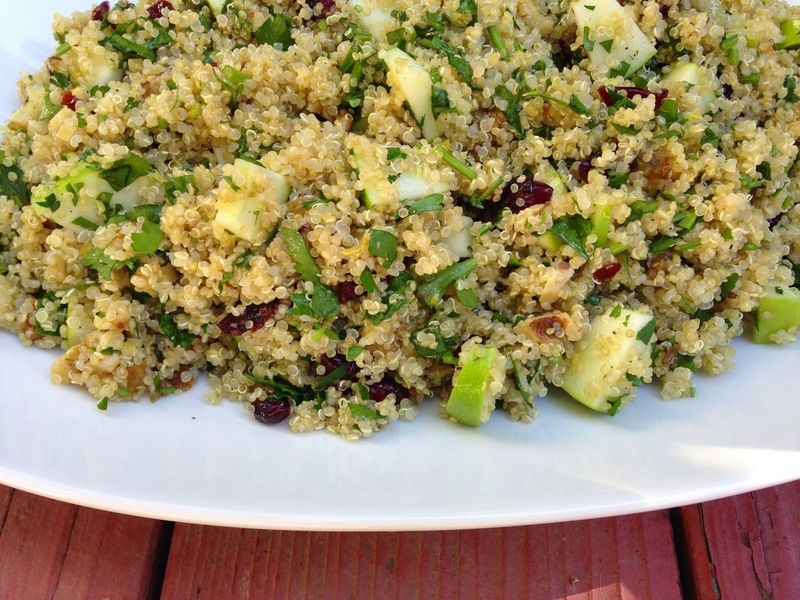 Quinoa is done when the grain is nearly translucent or only a tiny white dot remains in the center. 4. Remove from heat and transfer quinoa to a medium-large mixing bowl. Let sit out until nearly room temperature or speed up cooling by placing the mixing bowl into the freezer. Stir occasionally until it reaches nearly room temperature (~15 minutes). 5. While quinoa is cooling, prepare remainder of the ingredients. Zest one of the lemons using either method shown below. 6. Then juice the lemons over the chopped apples in a small bowl. Do this over a strainer to catch seeds. Toss apples to coat with juice to prevent browning. 7. Holding apples back with your hand, drain lemon juice into a small jar or whatever container you plan to make vinaigrette in. I use a small canning jar so that I can shake the dressing to mix the oil and lemon juice before serving. 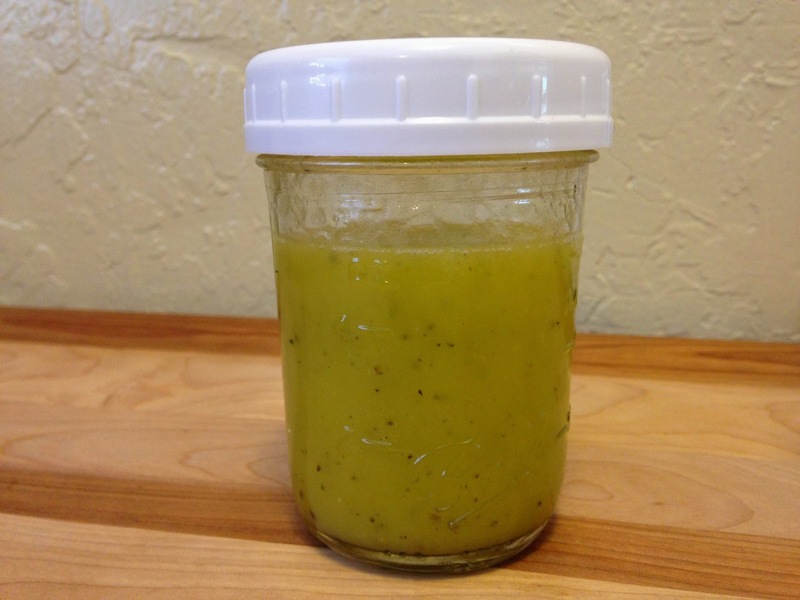 Lemon Vinaigrette - made in a canning jar. 8. Vinaigrette: To the lemon juice (about 1/4 cup), add olive oil, 1/4 teaspoon salt and 1/4 teaspoon pepper. Close lid tightly and shake to combine well immediately before each use. Alternatively, you can stir with a spoon but this doesn't work quite as well. 9. 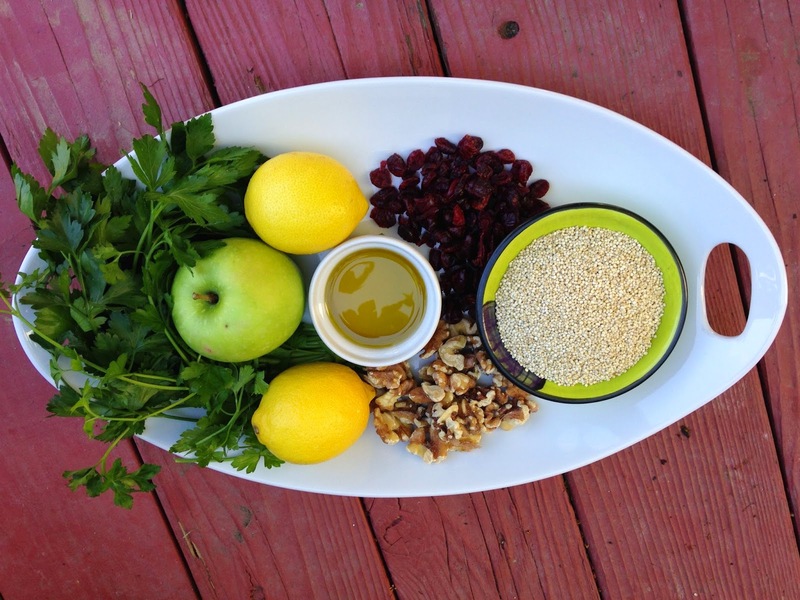 Add apples, walnuts, cranberries, parsley, lemon zest and 1/4 teaspoon salt to the mixing bowl of quinoa. 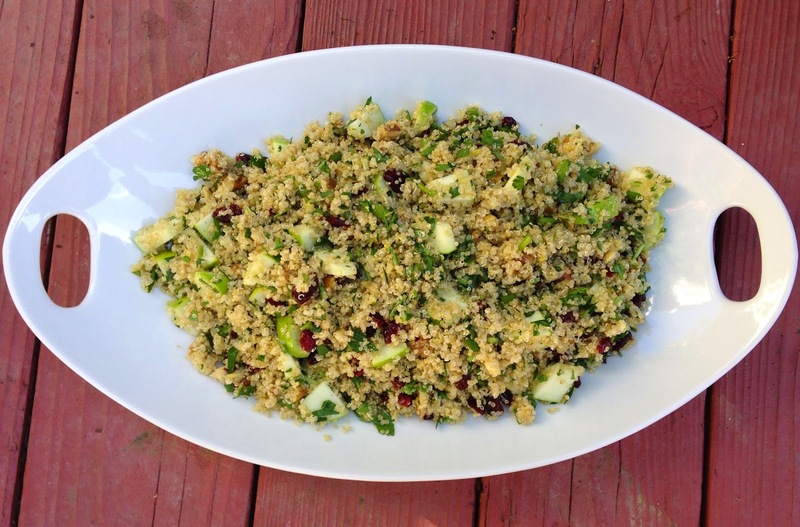 After shaking vinaigrette to combine, measure out 1/4 cup of the dressing and drizzle over the quinoa mixture. Season with more pepper, if desired. Stir to combine all ingredients. 1. Make it a meal! 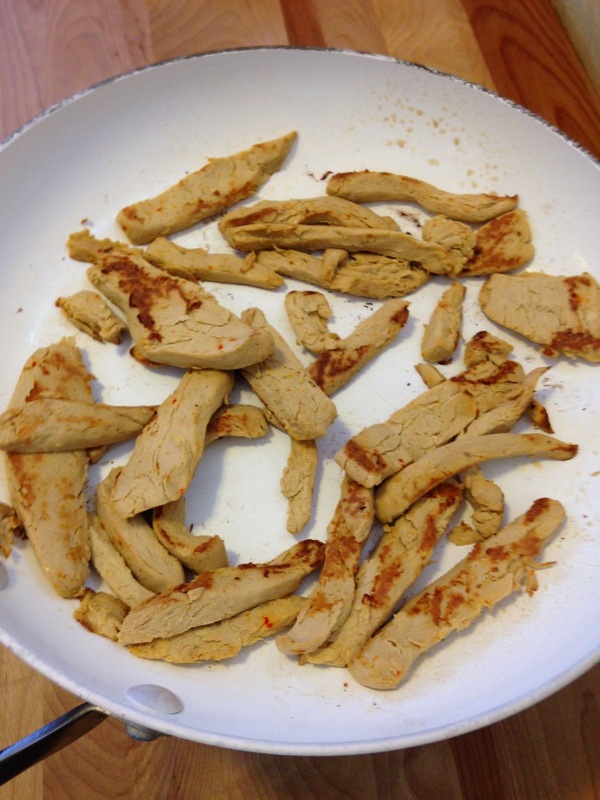 Slice and cook vegetarian chicken breast substitute or 2-3 small-medium chicken breasts (see picture) and stir into quinoa salad. Use the extra lemon vinaigrette to dress salad greens. 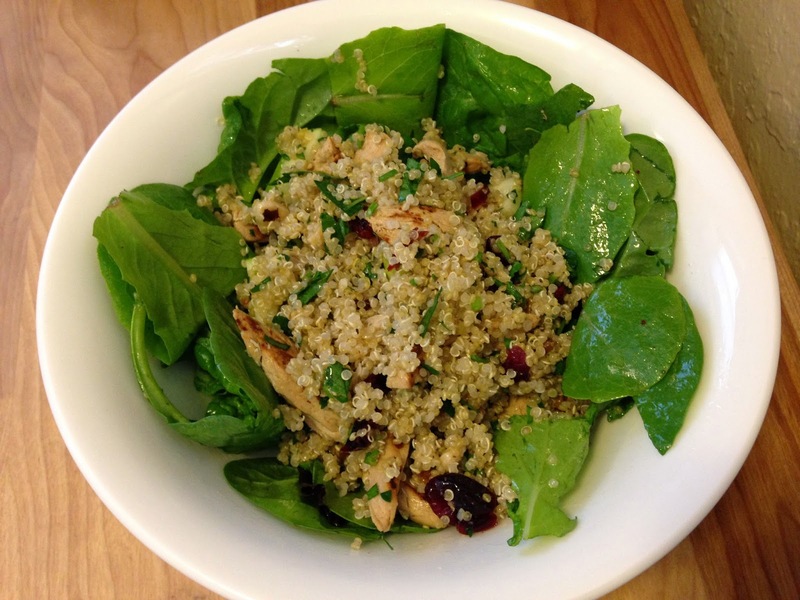 Serve quinoa salad over the salad greens. Making it a Meal - add vegetarian or regular chicken breast, cutting into strips and browned. 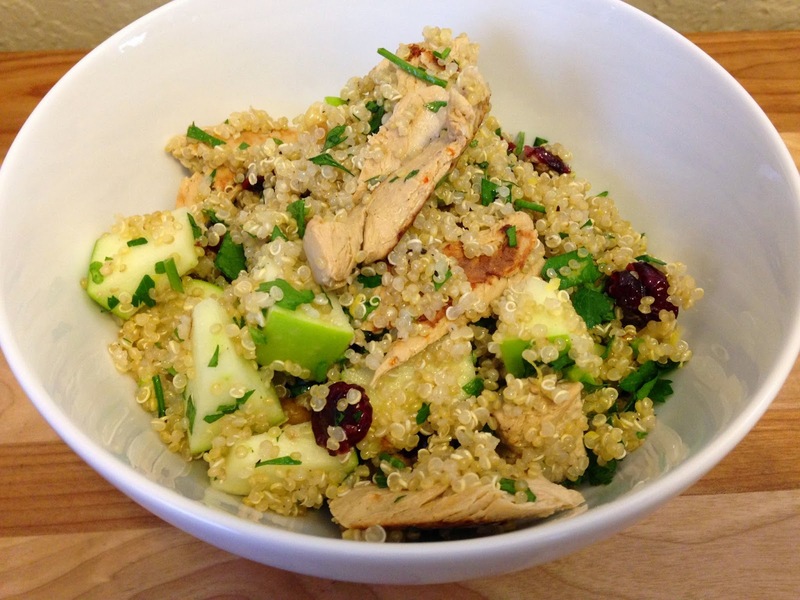 Fall Quinoa Apple Salad with Gardein "Chicken"
2. Substitute almonds, pistachios, cashews or pinenuts for walnuts. 3. Add other fall fruit like pomegranate arils or figs. You can also substitute pears or another other crisp apple for the Granny Smith apples. 4. Make just the vinaigrette for use on any salad, or marinade for vegetables, fish or chicken. 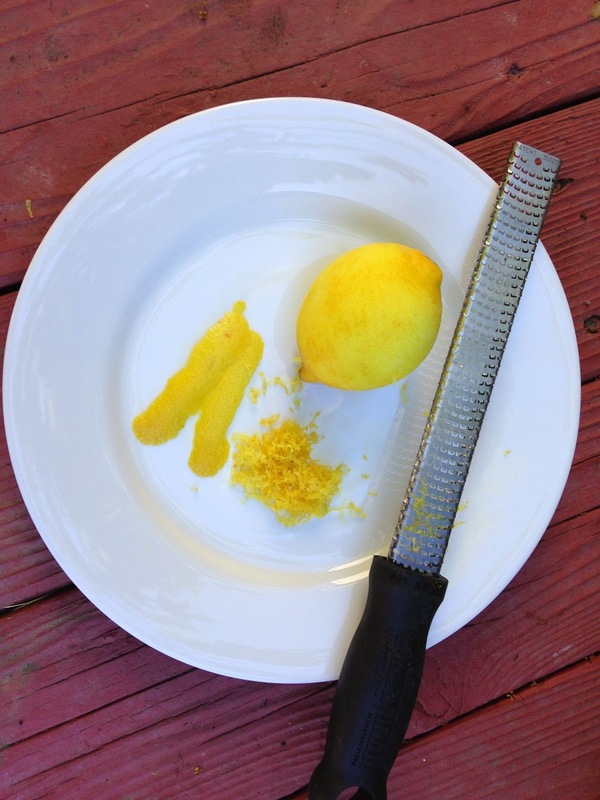 Take a paring knife and peel off only the outer, bright yellow, portion of the peel of a lemon (or any citrus fruit). 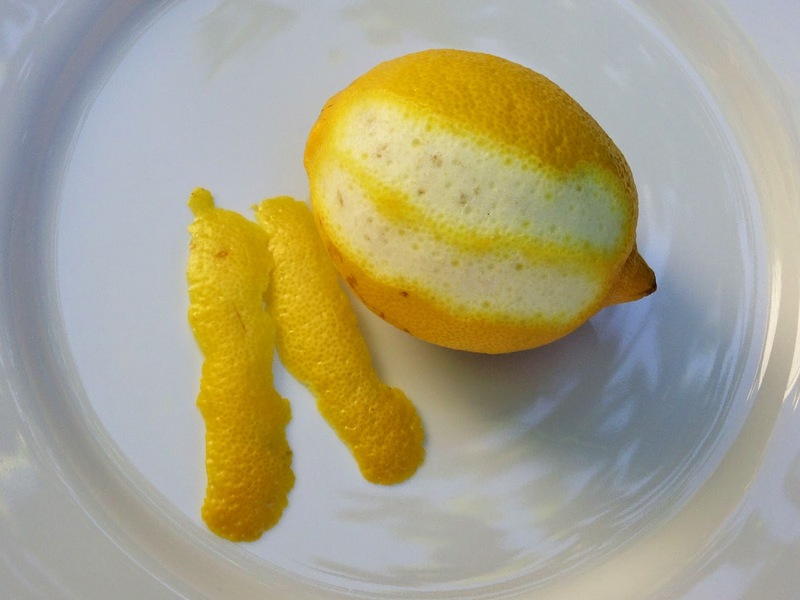 Once you've peeled the lemon, then use a chef's knife to either chop very finely or slice into paper-thin strips. The tool in this picture looks like a wood rasp with a handle - that's because it is. In the cooking world, this is called a microplane. To get the fine zest pictured at 6 o'clock here, hold the lemon in one hand, microplane in the other, and either grate the microplane on the lemon or vise versa. This will remove only the very outer, flavorful portion of the lemon peel without any of the bitter, with pith.